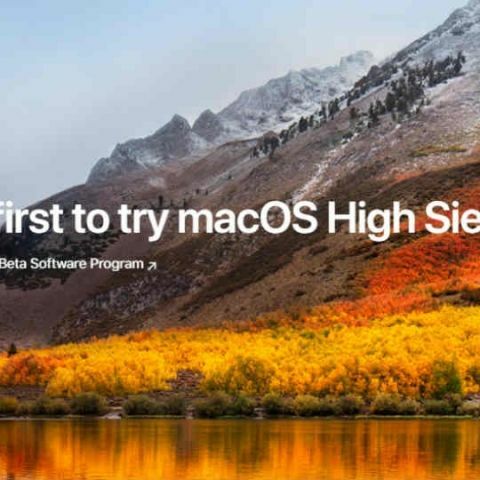 Apple has started rolling out the first public beta of macOS High Sierra to beta testers. This will allow non-developers to download and test the update since its introduction at WWDC earlier this year. Anyone who is a party of Apple’s beta testing program can download the update via Software Update in the Mac App Store. To be a part of the beta testing program, users need to sign up via the beta testing page. This will give them access to the betas of iOS and tvOS alongside macOS. Before installing the new OS, it should be noted that this is the beta version of the software and there are bound to some bugs and issues with the system. So its would be a good idea to backup the system and/or install the OS on a secondary device. This is especially a good idea as one of the big changes in macOS High Sierra is a new file system called the Apple Filesystem (APFS), which takes over from HFS+ as the default file system. The update will also bring High Efficiency Video Encoding (HEVC) to Macs along with Apple’s next generation Metal graphics API, Metal 2. Apps have also been improved. The Photos app offers more ways to edit and organise, while Safari now uses machine learning to remove cross-site tracking data used by advertisers. The browser will also turn Reader Mode on be default and it will also keep videos and audio from playing automatically. The new update also brings a natural sounding Siri along with the ability to share iCloud files via links.